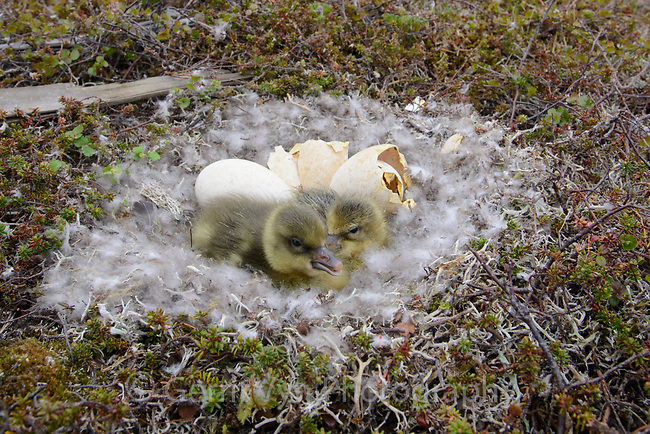 Greater White-fronted Goose (Anser albifrons) nest and newly hatched chicks. Yukon Delta National Wildlife Refuge, Alaska. June.